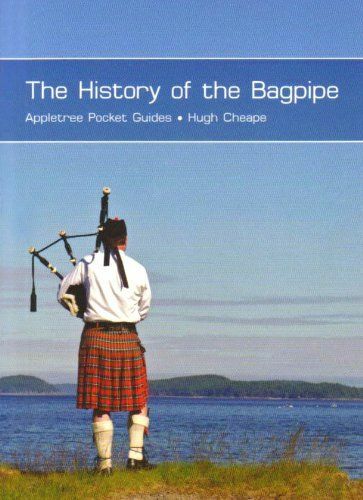 The History of the BagpipesScotland has a wealth and variety of music and one of the oldest and most successful of wind instruments the bagpipe. In essence, the bagpipe is a wind instrument with melody pipe or chanter on which the music is played with fixed notes. But the instrument that seems so Scottish has truly international roots. Hugh Cheape traces its journey through form and place from the reeded pipes of the Near East and Egypt around 2500 years ago to the strident bombarde of Brittany and beyond.Still widely played in Scotland and indeed world-wide, the pipes continue to rally and rouse feelings of patriotism this is a celebration and introduction to a distinctive and much-loved instrument. Illustrated throughout.